How do I get to TBS? TBS is located about 10km south of the city centre so you need at least 30min travel time to get there with public transport. 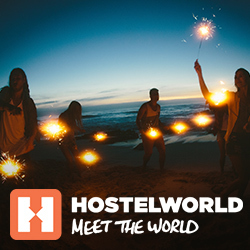 To make sure you get there on time for your bus, we recommand to leave there abou 1h before departure. TBS is located right next to Bandar Tasik Selatan train station which serves LRT, KTM and ERL (KLIA Transit) trains. If you want to get TBS from the city, the best option is the take the LRT from Pasar Senir or Masjid Jamek (Chinatown area), Plaza Rakyat (Puduraya area) or Hang Tuah (Bukit Bintang area) or KL Sentral. Make sure enter the train going to Sri Petaling (!) as the Ampang line splits after Chan Sow Lin station. Since the closure of the Putra Bus Terminal in December 2014, TBS also took of the operations of east-bound buses to Destinations like Kota Bahru, Kuala Terengganu and Jerteh, Kuala Besut (jetty to Perhentian Islands) and Mersing (jetty to Tioman Island). In 2016 also all major north-bound destinations have moved here from Pudu Sentral (Puduraya). Please note that some buses might depart or arrive from other places than TBS, especially some of the Singapore buses (e.g. StarMart operates from Times Square, more about Singapore connections). 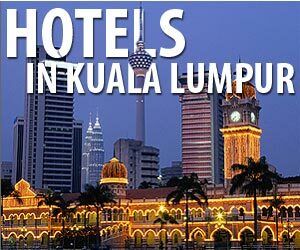 How to get from TBS to KL city centre? Take the LRT (located right next to TBS) to Hang Tuah. From there you can walk in about 10min (you need to cross a few main road) or take the Monorail (the station is right next to the LRT station) to Bukit Bintang (from there the walk is more pleasent). Take the LRT (located right next to TBS) to Masjid Jamek LRT station. Get off there and transfer to Kelana Jaya LRT (station is right on top of it). 2 stops from there to KL Sentral. Alternatively you can KTM Komuter train to KL Sentral (beware that KTM trains run only every 30min). The official name of this bus terminal is "Terminal Bersepadu Selatan - Bandar Tasik Selatan" or abbreviated "TBS-BTS". Surely not the most catchy name for a bus terminal so we will stick we the term "TBS". Bandar Tasik Selatan is the area of KL it is located in, translated it means "South Lake City". 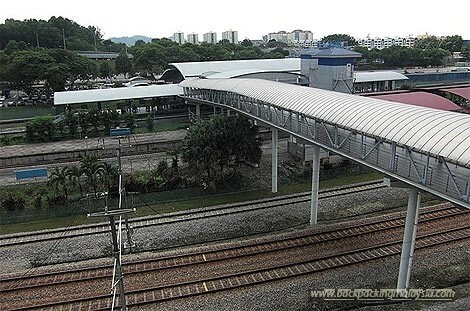 The adjacent LRT station is also called "Bandar Tasik Selatan". TBS serves south-bound buses, hence the the word "Selatan" in the name, which means "south". TBS was opened in 2011 as effort of the city to transform the long-distance bus system in city and lower traffic congestion around the old Puduraya Bus Terminal in the city center, which handled all long-distance buses before. After Puduraya - now called Pudu Sentral - was renovated and reopened in 2011 it only serves north-bound buses, Putra Bus Terminal handles buses going to East Coast and TBS takes care of southbound buses to destinations like Melaka and Singapore. TBS is a super modern and huge terminal which resembles more of an airport than a bus terminal. It also offers eTicketing and online booking through its website. Unlike Pudu Sentral it is not located in city center but 30min south of it. So if you try to catch a bus it is recommended to leave from the city center about 1h before departure. TBS has a direct connection to the KTM, LRT und KLIA Transit train lines from the neighboring Bandar Tasik Selatan station. Which destination are served from TBS? Can I store my luggage at TBS? Which bus operator run from TBS? This older bus terminal at northern edge of KL city center serves buses to Pahang, Terengganu and Kelantan. For travelers this bus station is of interest as buses to Jerentut (for traveling to Taman Negara) and Genting Highlands leave from here.